Hi all, Kate Cabiltes here! 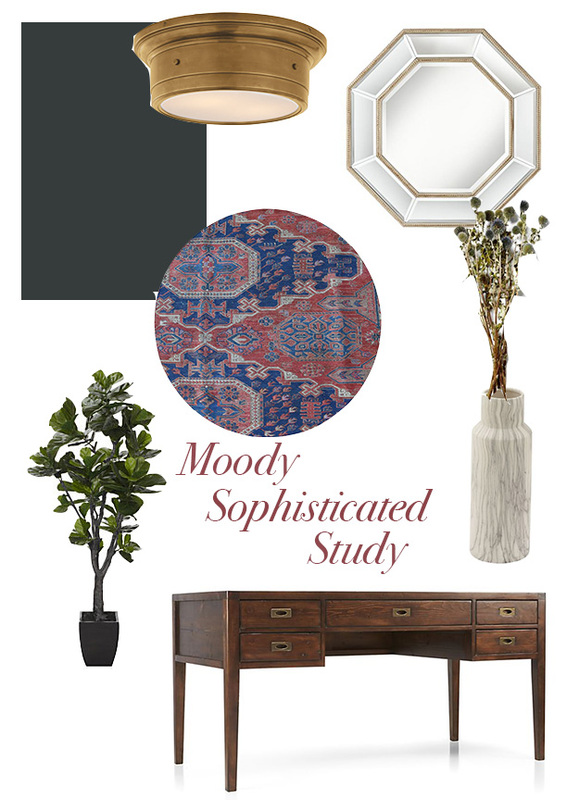 This captivating masculine study by talented Salt Lake City design firm Studio McGee is worth exploring. Its walls which boast unique moulding are coated in a unique dark green paint called Salamander by Benjamin Moore, a hue that can vary depending on sunlight exposure. 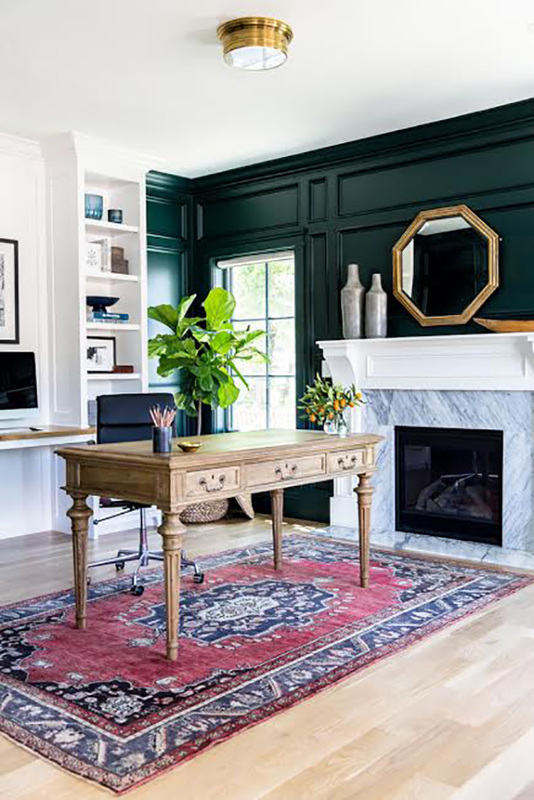 Hosting a classic wooden desk and vintage kilim rug outfitted with accents such as an octagon mirror and live fig tree, this room is serious yet swoon worthy. This look could be achieved in different variations - a dark blue wall would be another eye catching alternative.